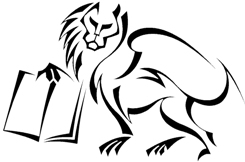 Just e-mail us to let us know what you would like to buy and we will be in touch to agree price and how to get it to you. Shipping will be extra at cost. We can supply photographs - just ask. 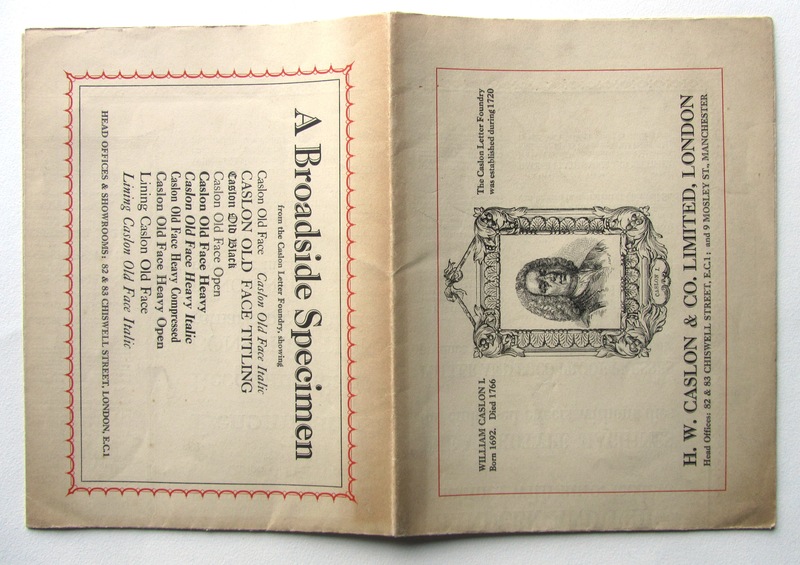 An ex-display numbered copy. Slightly tired. �. An ex-display copy. Very slightly tired. �. 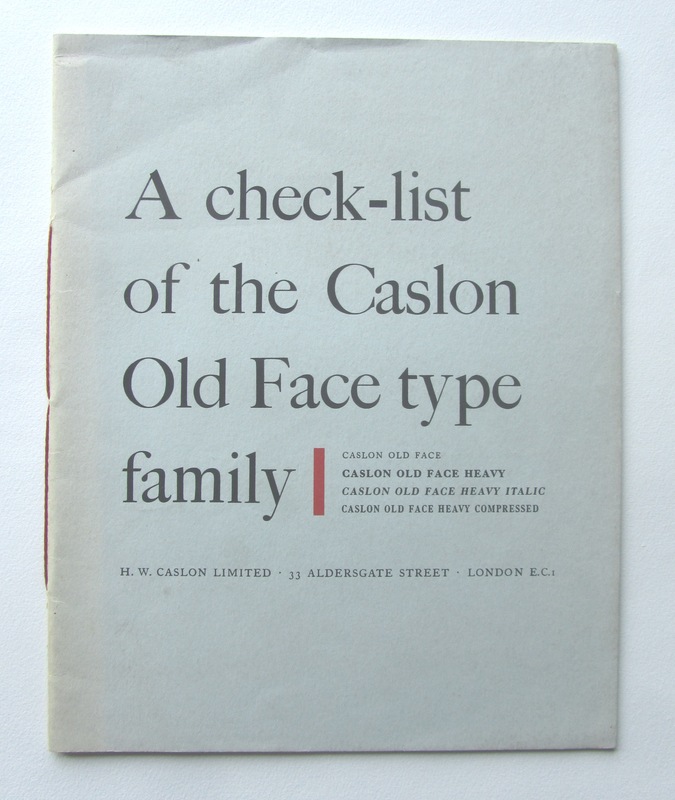 Caslon's 16pp catalogue, in grey cover. Somewhat faded on the outside but clean and complete inside. �. 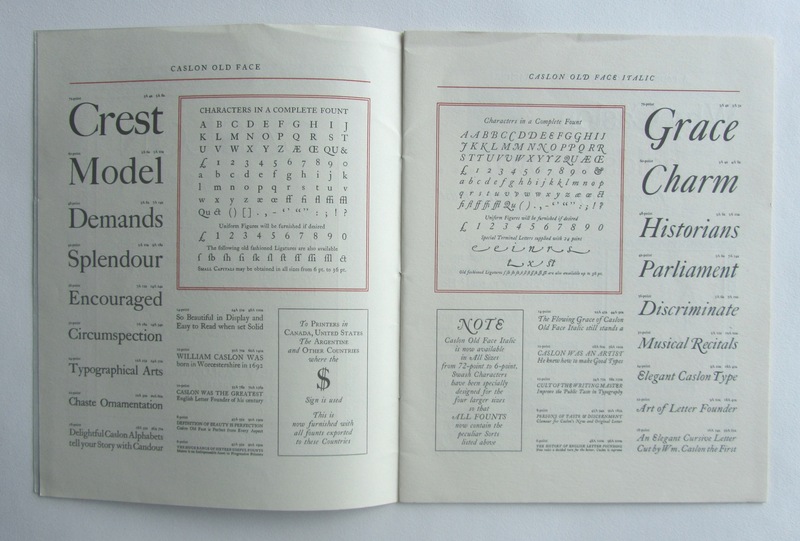 A broadside specimen of Caslon from the Caslon Letter Foundry. A bit browned on the outside and some corners of the folds have parted but otherwise clean and complete. �. Revd D. J. Stewart (John van Voorst, 1868). Hardcover, purple embossed cloth-covered boards, gilt spine lettering, spine a little dark, and a little roughing at top and bottom of spine, dusty on outer edges, inside clean and tight with very little foxing, VG. �. Catullus (Tauchnitz, 1829). Editio Stereotypa ex Nova Tabularum Impressione emendatissima. 12� 268pp. Half-leather with marbled paper on boards, much rubbing externally but nice and clean internally. �.